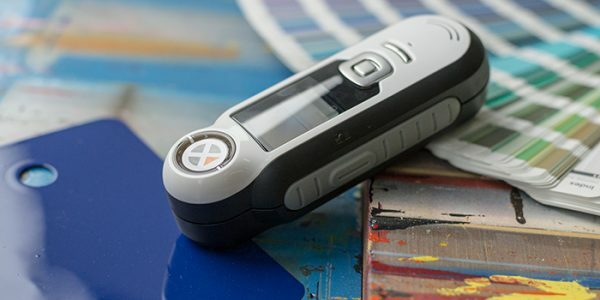 CAPSURE is a revolutionary handheld color-matching instrument that provides a powerful, versatile way to find an exact color match for any sample. CAPSURE accurately measures color on smooth, textured patterned or any inspirational object and matches against any selected reference. Create an audio record for each color with its built-in microphone, and store up to 100 measurements for future reference. CAPSURE is the ultimate in pocket-sized convenience for color inspiration and quality control. This revolutionary handheld color matching instrument provides a powerful, versatile way to find an exact match for any sample, even on textured or patterned materials. CAPSURE Cosmetic is a convenient handheld instrument that measures skin tone for a perfect match and recommends corresponding cosmetics products for consumers. CAPSUREme is a unique solution from X-Rite for determining the perfect foundation match, extending your reach into the consumer’s home using custom printed cards and a smartphone.